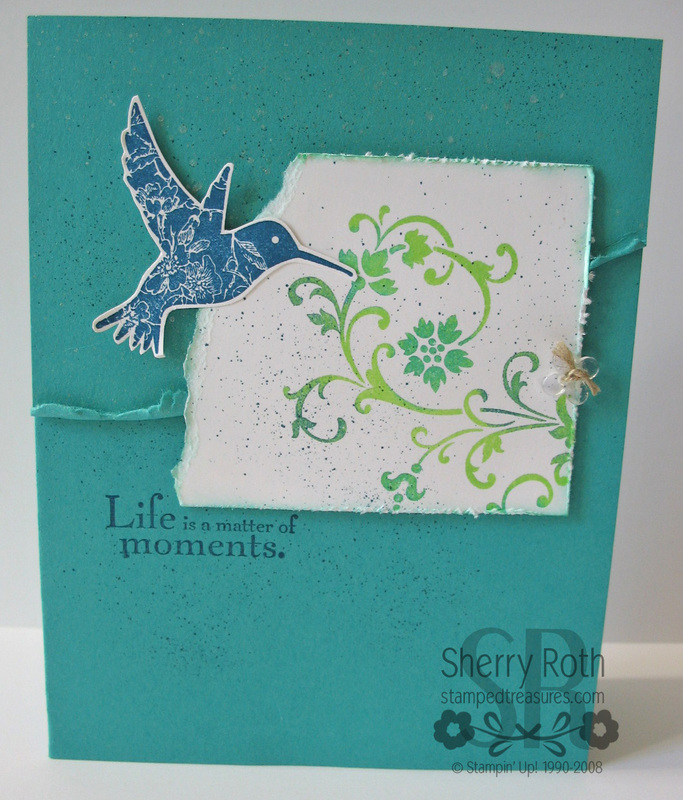 This is the card we did at stamp club this month. I used the same technique and color combo that I posted about yesterday but switched up the card. I CASED (Copy And Share Everything) this layout from the monthly magazine that we as demonstrators receive. I love how it turned out. If you look closely we used the new Vanilla Shimmer Smootch and the color spritzer - I love using these two things together! One of my favorite things about what I do is my monthly clubs. It allows me to get to know my customers and teach them techniques and project ideas that are a little more involved than what we can do in a workshop setting. If you are interested in finding out more about how I run my stamp clubs and how you can get in on one, email me and I'd be happy to fill you in!